Shop Shure PGA58 Alta Dynamic Vocal Microphone from AMS and enjoy Fast & Free Shipping. The PGA58 vocal microphone is a professional quality microphone featuring highly durable design and construction that delivers excellent sound. 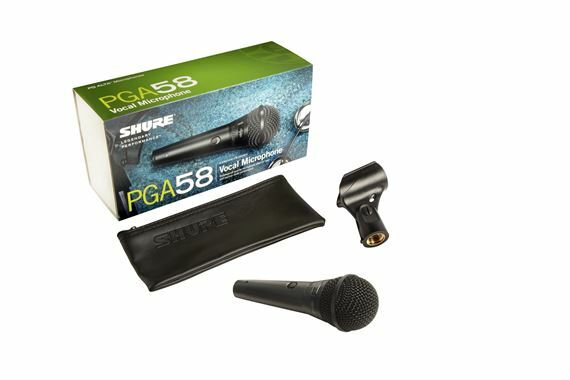 Ideal for use in lead and backup vocal performance applications, the PGA58 comes with an on/off switch, swivel adapter and carrying pouch.